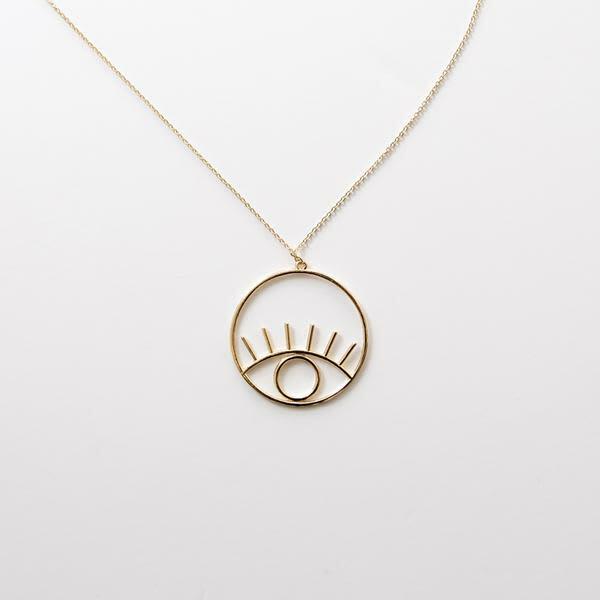 Fun long necklace with an eye in a disc pendant. Wear this with a plain high neck top. Best to avoid contact with water or perfume.